Solution is to use Different First Page option for header or footer. What it does it separates text shown in header or footer on first page from the one shown in other pages. There are two ways to set this option from user interface. Both have the same effect. First solution is shorter so it is the preffered way but you can use either one. 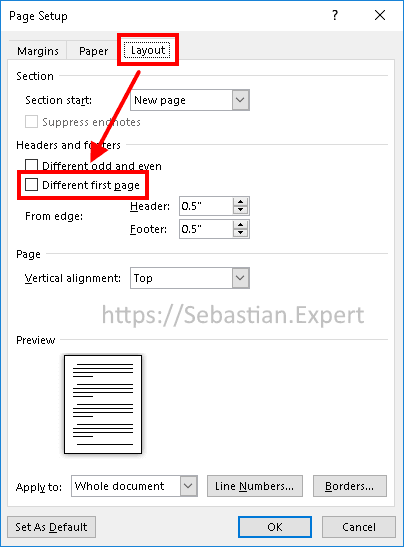 If you have already inserted any text in the header it will be gone after you choose Different First Page. It will be back when you uncheck it. If you want to keep it simply copy header text into clipboard and paste after changing checkbox. 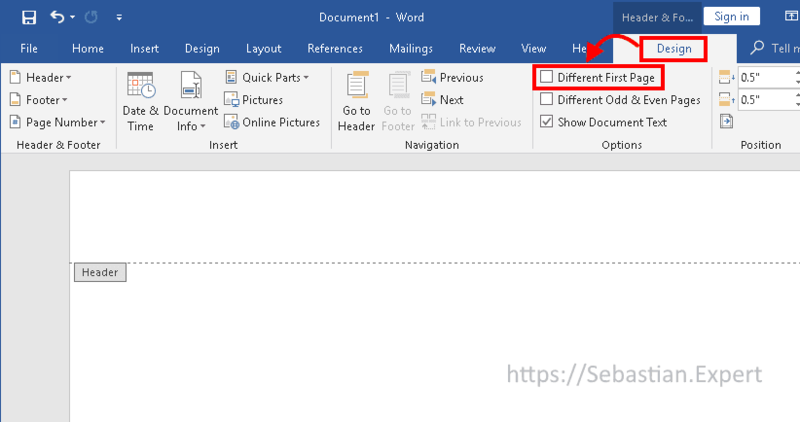 Go to header and footer editing mode by double cliking on the the header or footer area in the document. In the Design tab check Different First Page box. 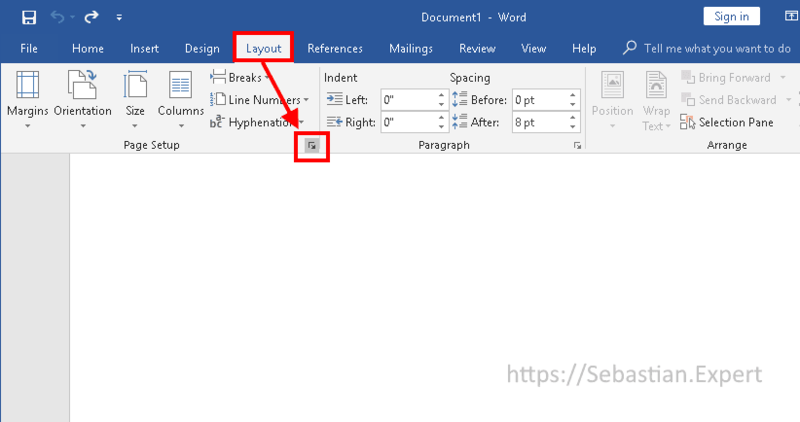 In Layout tab, click on the right hand bottom of the page Setup bar. Go to the Layout tab and check the Different first page checkbox.